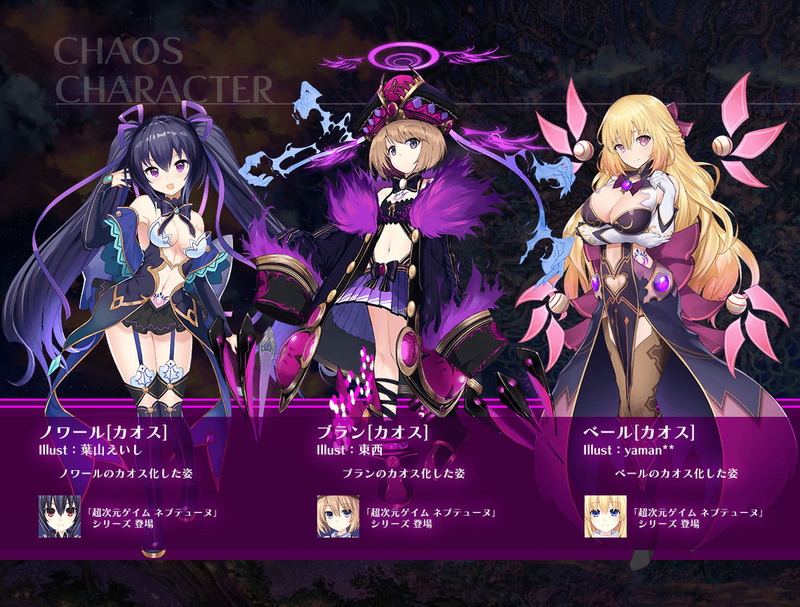 Compile Heart have released the official artwork for the other three Hyperdimension Neptunia goddesses that will be appearing in their Vita exclusive free-to-play card battle game, Nep-Nep Connect: Chaos Chanpuru. The illustrations for Noire, Blanc and Vert have been done by different illustrators than the series regular, Tsunako. Noire has been illustrated by Eishi Hayama wheras Blanc is by Kyounishi and Vert by Yaman. Nep-Nep Connect is due out for PS Vita in Japan in 2017. No word on a Western release.